Babus are finding it tough to use Hindi while drafting official communication or responding to letters sent by state governments, according to an assessment done by the government. NEW DELHI: Babus are finding it tough to use Hindi while drafting official communication or responding to letters sent by state governments, according to an assessment done by the government. Not hard to believe given that something like ‘National Remote Sensing Centre’ would translate to ‘Rashtriya Sudoor Samvedan Kendra’ in Hindi and ‘entry point activities’ to ‘prarambhik star ke karya’. While the issue is not about comparing languages or proving which one is superior to the other, an assessment was done to find out how frequently Central ministries and departments use Hindi in official communication. Initial reports are not encouraging, so much so that in some cases replies to letters in Hindi by states are often replied to in English. In one Central department, only four of 40 letters received in Hindi were replied in the same language. “In a Central department, not one letter was issued in Hindi this year to states. It is a clear violation of Rajbhasha rules and the department was pulled up by the government. The overall percentage of official communication in Hindi is lower than expected and has failed to achieve the targets,” a source said. Even notings on files of most Central departments were mostly not in Hindi, although the government had expected at least 75 per cent would be so, the sources said. 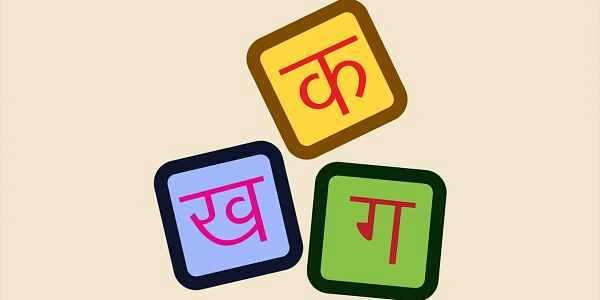 In some departments, Hindi was used in only 2.3 per cent to 2.6 per cent of notings. A government officer said it was difficult to draft notes and letters in Hindi because technical terms were not easy to understand. “These words have not been used very often in government files. It is more difficult when we use new technical words like convergence, which in Hindi translates to ‘samamelan’. To know this, one needs to refer to a dictionary. Although, the Rajbhasha Department has sent department-wise dictionaries and most-often-used words, they are not used because of urgency of the matter,” the officer explained. The NDA government had said that it did not want to impose Hindi but its sole intention was to promote use of the language by the majority.